gMailOOo is a new LibreOffice extension, allowing you to connect to Google Mail (smtp.gmail.com) with the OAuth2.0 delegation protocol under SSL or TLS. The OAuth2.0 protocol allows the connection to the SMTP mail server of Google, after acceptance of the connection authorization, by exchange of tokens. 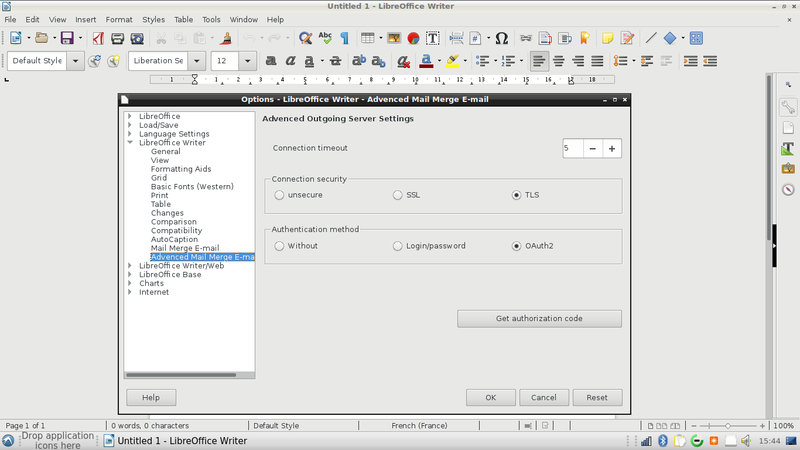 No more password is stored in LibreOffice. This extension is not compatible with OpenOffice (embedded Python version problem) in any case as long as OpenOffice does not support Python >= 3. Last edited by psilocybe on Wed Aug 30, 2017 3:57 pm, edited 2 times in total.